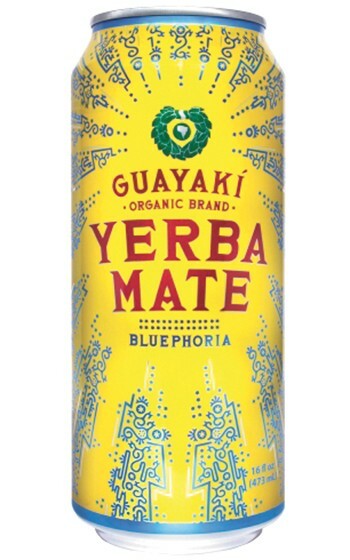 BEVERAGE | One taste of the silky, fruity zestiness of the yerba mate tea, found in bright-yellow aluminum cans from GUAYAKI ORGANIC YERBA MATE, was enough to make me an instant devotee. Many out there have sipped yerba mate tea, likely in loose leaf form, but the tall cans (16 oz.) offer a refreshing, slightly sweet, flavored pick-me-up, with names like "Revel Berry," "Orange Exuberance," Lemon Elation" and "Enlighten Mint." Yerba mate, made from naturally caffeinated leaves of the South American holly tree, has been celebrated for centuries for its invigorating, rejuvenating benefits. So far, we know you can find the cans at Huckleberry's on Monroe, and at the Rocket Market on the South Hill. 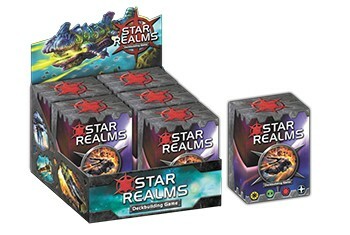 GAME | As a self-proclaimed nerd who's avidly into Magic: The Gathering, the recent discovery of the new-ish (it came out last year) deckbuilding game STAR REALMS had instant appeal. Designed by former professional MTG players, the game has a lot of perks that Magic doesn't. First, it's affordable — you can get the starter, two-player deck for $15 at most local card/game shops. It's also not a collectible trading card game, and like others in the same vein (Netrunner comes to mind) players can easily purchase all the game's cards as expansions are released. Each turn, continue to build up a fleet of ships of varying factions to gradually knock your opponent's life from 50 to zero.